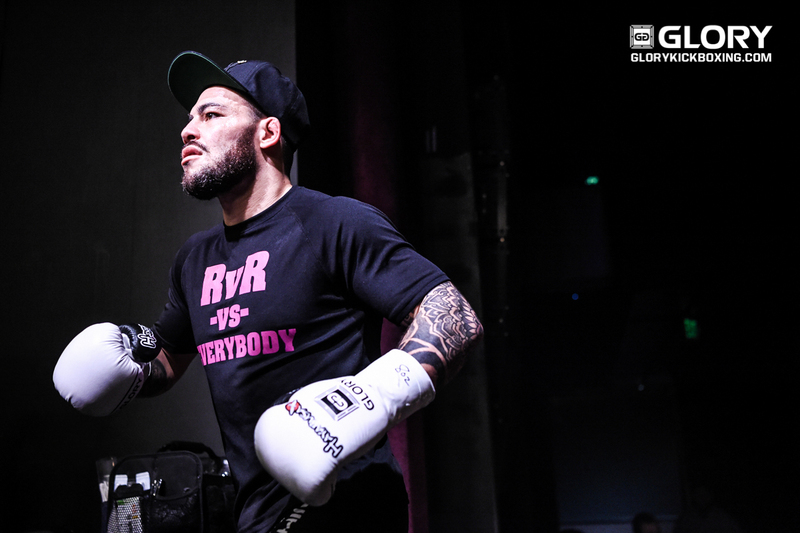 LOS ANGELES–He may not have the GLORY title around his waist, but at GLORY 37, Robin van Roosmalen (37-6) proved he’s still the baddest Featherweight in the division. Van Roosmalen, 27, defeated Matt Embree (39-8) by knockout in the fourth round inside The Novo on Friday night. “Pokerface” connected with a nasty left hook to the liver, which had Embree bent over in pain. The Dutchman followed that up with a flurry of punches and Embree remained hunched over and covering up, which led referee “Big” John McCarthy to step in and wave the bout off. The official time of the stoppage came at 2:00 of the fourth round. With the win, van Roosmalen becomes the No.1 contender for the next Featherweight title fight. The former champion was stripped of his title on Thursday after missing weight. He came in at 143.8 pounds, which is over the 143-pound limit. Van Roosmalen walked Embree down in the opening round and began to successfully land low kicks, which he would continue to do for the remainder of the bout. By the third round, Embree’s left leg was red and swollen and he looked to be wearing down. Van Roosmalen picked up the tempo in the fourth round and just proved to be too much for the Canadian fighter to handle. Before he walked out of the ring, though, van Roosmalen addressed missing weight. For complete GLORY 37 results, click here.